If you’re looking for a unique place to live near central London, with a safe and quaint country village feel, look no further. The area of Richmond will be just what you’ve been looking for. The Richmond flats rental market is reasonably priced despite its exclusive reputation. The architecture varies from modern apartment blocks, to period style buildings. Cottages are readily available to accommodate just singles, shares, or couples, ranging up to 3 and 4 bedrooms. This widely renowned area is heralded as one of the six safest places to live in London. So the Richmond flats rental market provides an even greater bang for your buck. You may even run into the local celebrities! 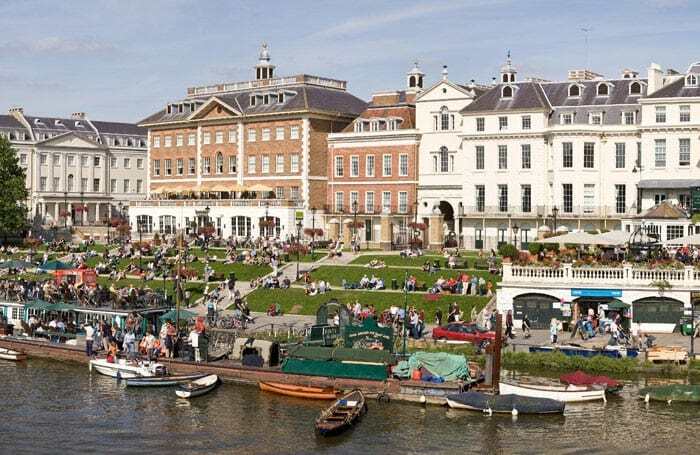 Despite Richmond’s smaller size, the area has hosted a slew of celebrities, such as Mick Jagger, Jerry Hall, David Attenborough. In addition, there are many more celebrity names that have chosen to call Richmond home. Richmond locals are all savvy to the vast range of shops, cinemas, and vintage boutiques. Also located within the city limits are a significant number of superb schools for those young professionals who are beginning a family. People who choose to raise them in a safe, upwardly mobile community and may not yet be ready to move up into expensive flats or other areas. The busy young professional who needs to get their workout in will have no shortage of exercise classes in the Richmond flats. Barreworks, Bootcamps, Pilates, and Bikram Yoga studios are all located on the high street. In keeping with the health conscious lifestyle, the ever popular Whole Foods Market is located centrally to cater to all of your fresh organic grocery needs. Whole Foods houses every type of grocery you could ever need under one roof. If a large chain store isn’t your thing, there are plenty of mom and pop deli’s, cheese shops, and grocers nearby as well. Want to know more about Richmond Rentals? If you are a foodie, a pub crawler, a night owl, or a beer connoisseur, this is the place to be. Petersham Nurseries Cafe is a highly eclectic place to enjoy a meal. This restaurant doubles as an actual greenhouse for farm to table dining, with restaurant food so good it won them a Michelin star! Al Boccon Di’vino, while technically a restaurant, is guaranteed to be like no other restaurant you’ve ever dined at before. With no menu, this small but quaint Venetian spot makes their own fresh pasta daily. Its popularity is such that it can be difficult to get a reservation less than a month in advance. If you’re looking for a pub with a view, The Roebuck is a fun spot at the top of the hill facing the most famous view in the area. The Roebuck looks out over the Thames River. This lovely pub prides themselves on their value beers, wines, and a full bar. If you’re more of a wine person, Rincon Spanish wine bar is the newest addition to the gastronomic scene in the area, and also a new local favorite. For all of your wardrobe essentials, there are countless boutiques and shops. The Treaty Shopping Centre located directly on High St, a modern indoor mall, containing numerous department stores. The mall also has a fast food restaurant and a cafe. Richmond Park is the second largest park in London, containing over 2500 acres of greenery. The park provides beautiful walks, cycle routes, and protected wildlife. Taking a stroll around this park will quickly make you forget that you’re just miles away from busy central London. The Royal Botanic Gardens at Kew is another great spot to take a moment to get away from the hectic city life. This wonderfully zen garden is one of the most popular visitor attractions in the UK; containing over 30,000 different species of plants. The location is popular among young professionals and commuters due to the benefits of the great connections to Central London. Richmond station serves the District line, Overground, and National Rail services. If you’re trying to leave London, there are convenient rail connections in the South West of England, with the Heathrow airport just miles away for all your foreign travel needs.